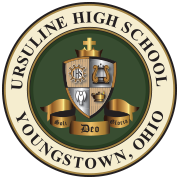 Ursuline High School implemented the “1:1 Program” for the Freshmen Class of 2022. The program will provide each member of the Freshmen Class with a Chromebook. The total cost is $50,000 and has been funded by alumni support and an anonymous donor. “1-to-1 Programs” are also known as ‘anywhere, anytime, or laptops for students’ programs. These programs provide students with personal portable computers to enhance opportunities for learning. The devices help schools engage the digital generation by nurturing individual (1-to-1) learning experiences. The Chromebooks will allow students to more effectively use Google Classroom, a learning management platform used extensively by Ursuline faculty. The Class of 2022 and each subsequent class will receive Chromebooks for their Ursuline career. In addition to Ursuline’s existing educational technology program, the implementation of the 1:1 program supports the notion that Ursuline’s Educational Technology Program is second to none! To read more about the Educational Technology program at Ursuline, please visit https://ursuline.com/academics-overview/technology/.